195 x 130 cm, 77 x 51 in. 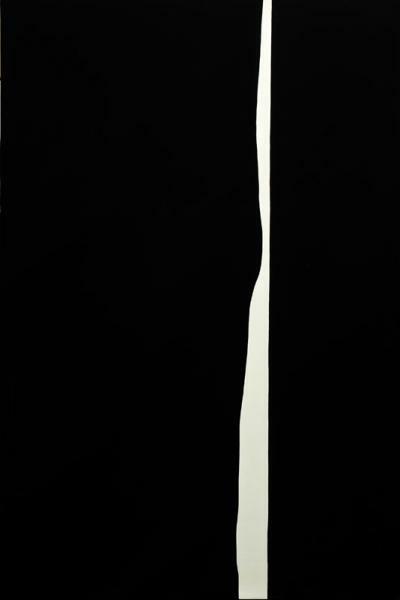 Marcel Barbeau En Mouvement/In Movement, Musée national des beaux-arts du Québec, Oct. 11, 2018 to Jan. 6, 2019. Ninon Gauthier, Marcel Barbeau Le regard en fugue, 1990, illustrated in situ p. 82. Ninon Gauthier, catalogue raisonne de l’oeuvre de Marcel Barbeau. Marcel Barbeau ( 1925 – 2016 ) was born in Montreal on February 18th, 1925. Between 1942 and 1947, he studied painting and sculpture with Paul-Emile Borduas at the Ecole du Meuble in Montreal, where he was a student in furniture design. At that time and until 1953, he regularly visited his master’s studio where he met other young artists and intellectuals, all members of the Automatistes. As a member of that major Canadian contemporary art movement, he participated in all exhibitions featuring the group and signed its manifesto,”Total refusal”. Some art historians consider that he was and remains its most innovative artist. He also was a junior member of Montreal Society of Contemporary Art with which he exhibited between 1945 to 1948. Mainly known as a painter, he has been involved in most visual art Media: drawing, sculpture, print, photography and performance. He has created many monumental works. His art has been exhibited in Canada, in the United States, in Europe and in Northern Africa where he had many one man shows. He has also participated in several international exhibitions. His works have been widely commented on in newspapers, magazines, catalogues and art books published in Canada, France and United States and in a fully illustrated monography, Marcel Barbeau: Fugato/ Le regard en fugue, published by CECA (MontrÃ©al, 1991), and in France at the Cercle d’art (Paris, 1994). He was also the subject of a few art films and videos among which renown film maker Manon Barbeauâs Barbeau âLibre comme lâartâ. This was a 49 minutes film on his work and career co-produced by Informaction and National Film Board of Canada (2000). 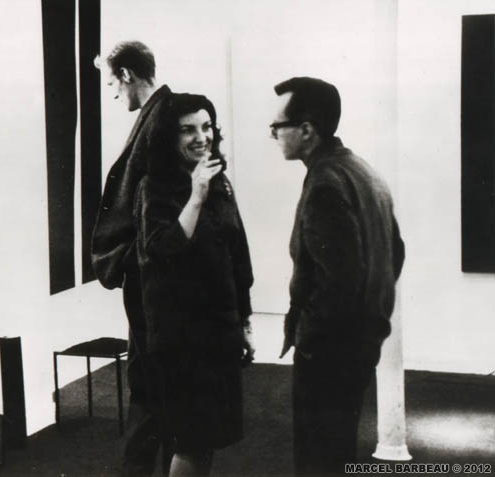 Iris Clert and Marcel Barbeau with the painting in situ at the Iris Clert Gallery, Paris, March 18 1964. Photo courtesy Andre Morain and Marcel Barbeau.